This may seem like a footnote to some, but just two days ago, Midwest officially stopped flying its own aircraft. That doesn’t mean, as we all know, that the Midwest brand is going away. It just means that now it is nothing more than a brand. So I think a little obituary (and cookie cannon salute) is appropriate. Midwest had been on a downhill slide for a long time. The meals were taken away, and the generous configuration was shrunk to effectively be only a first class cabin up front with normal seating behind. The only thing that really remained was the trademark cookie that is baked on-board flights. When Northwest and TPG got together to buy Midwest instead of letting AirTran acquire the airline, CEO Tim Hoeksema was praised for “saving the cookie.” He may have saved the cookie, but it was at the expense of a lot of jobs. I was surprised when Republic took Midwest off TPG’s hands, but now the strategy has become more clear. They want the brand but nothing else. On November 2, Midwest Airlines Boeing 717 N920ME landed in Milwaukee at 920p Central Time after a flight from Boston. That somber occasion marked the last flight operated by Midwest Airlines. I imagine it was particularly tough for the crew on that flight – the captain has flown for Midwest for 24 years. Now there are no airplanes left to fly. Midwest is survived by its weakened brand (operated by Republic, Chautauqua, or Frontier). It was 25 years old. Yo CF, typo on the date of last flight. I think you meant Nov 3. God thign I never make typoes. Just like a lot of things now a days, it’s hard for the little guy to stay in business. While the name may be around, it will be gone within 2 years I bet and it will all be under the Frontier name or just all of it gone all together. We will soon be back to the early days of aviation with just a few airlines in this country and then the cycle will start all over again with small regional airlines starting up. It was actually Nov 2, but yeah, typo. Thanks for catching that. The 717 is not an inefficient aircraft. What airplanes will Midwest be flying? You must know more than I, because I don’t see much hope. Are there still plans for Midwest to operate some of Republic’s E170s (or was it E190s?) next year? Will any Midwest pilots or flight attendants be transferred to other airlines within Republic and trained to fly Republic’s other planes? I find it very ironic that one day after SWA launched MKE as its newest location, Midwest Airlines essentially bit the dust. It had been a great little airline back in the 1980s and 90s. 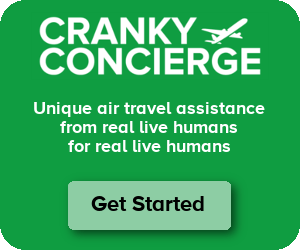 And you’re right Cranky, they should have done the Air Tran deal when they had the chance. Its all very sad. The erosion is happening fast. Everything that made YX special is disappearing. First, let me say I love the ERJ aircraft, 135, 170 and 190. I am SO GLAD that Skywest with its sardine can CRJs will be gone soon but not soon enough for me. Some of the ERJs were fitted with “signature seating”, the 1×2 seating. However, now with the delivery of the 190s, most are still 2×2. The signature seat at a greater expense is EXACTLY the same seat now in 190s as the exit row.. just more leg room, something that us folks in Milwaukee don’t really need. We would prefer more width. (Its like the Economy Plus on United). How the configurations will eventually end up is unknown. Yesterday I tried to book a last minute flight from PHX to MKE. I just wanted to get home early, as I had a First Class reservation on US Airways. However, when I asked about signature seating, I was told this was FRONTIER and they had none. Currently we cannot access seat maps on the Midwest reservation site. SO, just about all is gone. I expect all signature seating to go. Schedules are extremely unstable and planning is advance with confidence is impossible. YX has had unstable schedules for over a year now and they continue as Frontier arrives and Skywest leaves. Yes, the cookie may be there, at least on YX branded airplanes, but I doubt they will appear on Frontier without a price. Give me a break. The cookie does not make a good airline, or a good flight. Too many cookies means we need wider seats not seats with more pitch. The summary good news is that even for longer flights, the E170 and E190 is a comfortable airplane. The bad news is the A320 on Frontier is the old 3×3 same old airplane that everyone else flies, except the overhead bins are better. One other interesting thing: the gate agent offered priority boarding when I flew from MKE to PHX on the E190 to anyone who would check their rollaboard for FREE. (The overhead space, though able to handle some rollaboards, cannot handle ALL rollaboards). I have an endless level of nerdiness for airline operations, but even *I* am a little confused over where one “airline” ends and another begins in this new, bigger Republic family. I fly Frontier & Midwest a lot — I’ll be curious to see how I feel as a passenger in the coming months as planes, brands, and flyer expectations are juggled. As I plan another trip early in 2010 to Ohio, I already noticed that Frontier has replaced the Airbuses on their DEN to CAK route with Republic E190s. A nice plane, but still feels like a small regional jet, and missing the DIRECTV benefit on the Airbus fleet. It has me considering the suddenly similarly-priced United flights to CMH instead, just to stay on bigger planes. The cookie cannon is simply inspired! It’s really sad to see the missteps that Midwest has taken. I’m really curious what NWA’s and TPG’s plans for Midwest were as they just seemed to let it die. Steve, I’m sure you didn’t mean this, but it sounds like you’re saying everybody in Milwaukee is short and fat. Adding to this story is news today that Air Tran is going back into the 50-seater market through a deal with SkyWest that will see CRJs out of Milwaukee to Akron-Canton, Des Moines and Omaha (new destinations) as well as more frequencies to Indianapolis, Pittsburgh and St. Louis. I note all except Akron are Midwest markets. This seems really (and perhaps recklessly) personal. AirTran already tried CRJ flying a few years ago with Air Wisconsin. It only lasted a couple of years cause AirTran found it didn’t work out so well, profit wise. I’m still surprised YX made it this far; after 9/11 their business plan was dead in the water. And now that the strong-if-tarnished YX brand and strong F9 brand are being combined, all I think of is “what a mess”. And when you throw in FL and WN trying to take over MKE, which isn’t worth it for either carrier in my opinion, blech! The whole industry is headed for “operated by…” status. To me, an airline provides service to the public using airliners…planes in its own colors, with its own people…under a branding that is unique and easily recognizable by its customers, and for which a DOT-mandated disclosure statement is neither required nor necessary. When these operating conditions are absent, the enterprise becomes something like a non-aircraft-operating air freight forwarder, or whatever, but definitely not an airline. Put me in the NO code-share, NO “operated by…” column! Hmmm. The mid sized markets seem to be considered prime territory in a good economy and get trashed in a bad one, excepting SWA’s decision to enter MKE. It is understandable when profits are gone but what about airlines biting the bullet for these markets for a while? I feel for the fliers that lose their hometown airline or decent schedules. It is tedious to have to drive 2 or 3 hours to get a great rate and schedule but many of us have done it….in Florida, nonetheless. MKE is such a strange airport & market: I lived in Wisconsin for 35 years. People who can’t stand how expensive MSN is drive 1.5 hours east to fly out of MKE. People in Milwaukee who can’t stand how expensive MKE is drive 1.5 hours south to fly out of ORD or MDW. Southwest will either dominate there in five years, or be an also-ran like they are in Denver. What other midsize airport has three discount carriers serving it?! I agree with the earlier comment that AirTran’s moves feel more like spite than business. That buyout battle got real ugly toward the end as Midwest entrenched and got in bed with Northwest. AirTran all but declared holy war at the time. Although I don’t think they counted on Southwest coming there, either. Last I heard those talks fell through, but I suppose if the Midwest pilots wanted to cave for further cuts, they would be able to get back on the seniority list. Yes, but AirTran should be thrilled they DIDN’T get them! I wouldn’t count on it. Republic wants the customers and gates. They’ll take what’s good about Midwest (cookies and the first class) and merge that into Frontier. Give Republic a few years to slowly introduce Frontier to MKE passengers and then they’ll shut down the brand. I agree with APB, although I also think there’s another element here: The guys at Republic really don’t have a lot of experience in several significant areas of running an airline because the company’s major carrier partners handled them. This includes scheduling, route development and — here’s a biggie — marketing. Republic’s “marketing” department’s biggest responsibility until recently has been mostly corporate communications. This involves a very different skill set from consumer marketing and branding. So I think we have a group of people who are very good at running a company that puts planes in the air and delivers returns for investors. I’m not sure the conversations that would lead to a merging of the brands have happened yet in any serious way. Interesting observations, DRG, but you know who Republic just named their VP of Marketing? Frontier’s former CEO. Doesn’t mean they’ll be any more successful at sorting out their brand soup, but at least it appears they’re aware of that weakness. Bedford, CEO– All 21 of his years experience in regional airlines were with companies that operated on behalf of majors. Whoever wrote that nugget musta worked at a technology company…. I’m not sure what all of the confusion is about. Think of the Frontier operated YX service the old Saver Service but on better planes with directv. Marketing…talk to anyone in DEN…Frontier is a going entity yet because of its kitchy marketing…I’m sure they will be able come up with something for YX too. Frontier and Midwest have very different brands…so I do not believe it is clear that Midwest will cease existence…MKE is a fickle market and YX still has a good(albeit tarnished) brand their. Not recognizing Leine’s is a GRAVE travesty. I hope they clear that up quick! Republics lack of skill sets in consumer marketing and branding. I find DRG’s comments hit the nail on the head. I just flew Midwest or rather Republic on 11-2 and 11-4. Not being up on the recent developments, I had the audacity to expect the old service provided by the old Midwest Airlines. It was a rude awakening for me to be introduced to the Republic brand of service; small airplane, curt attendants and no place for my carry on luggage. I voiced my dissapointment to the attendant and was told basically to fly somewhere else. On the way home to KCI I did receive some mushed up cookies. RIP Midwest Airlines. Republic doesn’t have a clue as to how to go about keeping customers and DRG’s comments explained it. Thanks for the kudos but inflight service and marketing are two different things. Ideally the former will support the latter. My comments were about a lack of experience in operating an airline brand, not so much the Republic passenger experience. Republic’s executives HAVE extensive experience in inflight operations. I’ve flown Republic-operated flights many times and have found the service to be just fine. The Flight Attendants and Pilots definitely have the option to transfer to Republic. In fact, some of the Flight Attendants have done so already. But some prefer to be “cranky fliers” and place blame instead of taking a job. All crewmembers must go through training sense they will be operating/working a different aircraft type. Discussion between unions about integration did not last long. Midwest AFA wanted DOH and nothing else. Therefore, the issue will be sent to arbitration. We all know how long that could take. Nothing like shooting yourself in the foot. Just a note..regarding your comment about Midwest pilots and flight attendants transferring to Republic. That is not the case. We were not invited to transfer. We were just layed off and replaced by Republic crews. For myself, after being out of work for a year… I just had to apply for Republic, go through 3 weeks intense training, and start all over at the bottom of the seniority list of 4,000 some flight attendants. I lost my 10 yrs seniority, my vacation and half of my pay. Yes, the unions are supposed to work out some integration, but it will probably only benefit about 1/4 of the flight attendant and pilot group. The rest of us are thrown under the bus so to speak. I am not optimistic. So for those of you who do fly on Republic, you will notice a few former Midwest flight attendants out their trying their best to make your flights feel like what you had. However, we too share your dismay and sadness… that the Midwest Airlines that we knew and loved is no longer in existance. Republic saved what was left of Midwest… but it will never be what it was… especially without the people who lost their jobs through this “restructuring”.